Bowing to sustained pressure from start-ups and venture capital funds over the so-called angel tax, the government on Tuesday eased tax norms for new businesses in a bid to boost investment and job creation. The angel tax is levied on start-ups that have received equity infusion in excess of the fair valuation, with the premium being paid by investors as their income. It was introduced in the 2012-13 Budget by the then finance minister Pranab Mukherjee to curb money laundering . The government has allowed start-ups that have raised capital up to Rs 25 crore to claim tax benefits, as against Rs 10 crore earlier. It has also announced a slew of waivers and a definition tweak in line with demands from the sector. Exemptions have been allowed for investments by non-resident Indians and alternative investment funds (AIFs) as well as for the infusion of capital into start-ups in the form of equity stake in a listed company, according to the latest norms issued by the Department for Promotion of Industry and Internal Trade (DPIIT). 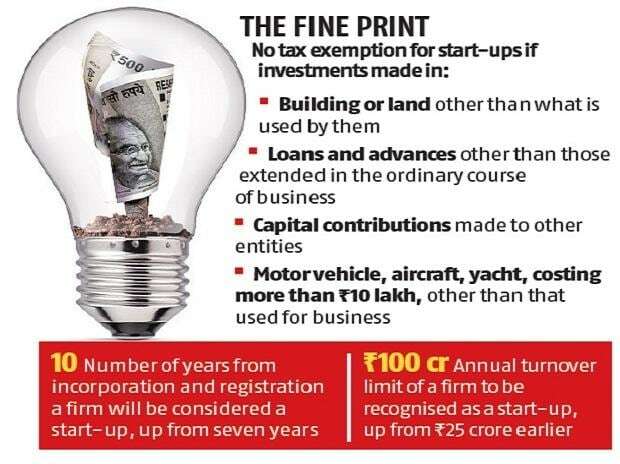 An entity will now be considered a start-up for 10 years from its date of incorporation and registration as compared to seven years earlier, which will allow it to avail tax benefits for a longer period. The change in definition will also see firms with up to Rs 100-crore annual turnover to be considered a start-up as compared to Rs 25 crore earlier. 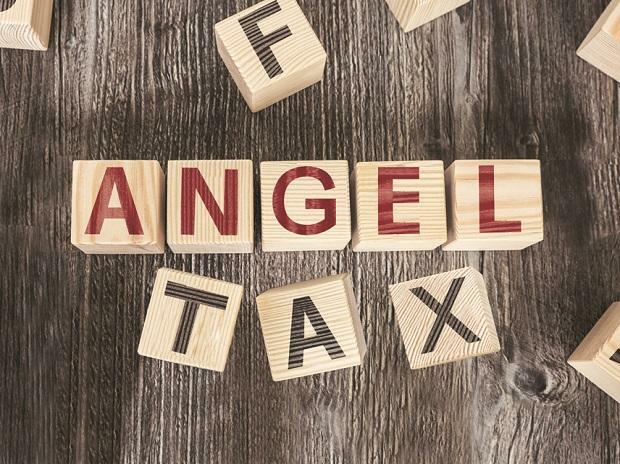 Industry experts claimed that considering the uproar from the start-up community on the alleged levy of angel tax by the Central Board of Direct Taxes (CBDT) on certain start-ups, the recent reforms were announced by the DPIIT to enable start-ups to get exemptions on investments under Section 56(2)(viib) of the Income Tax Act, 1961. “At present, an investor needs to have an average returned income of Rs 50 lakh for the financial year preceding the date of tax filings for availing the benefits of angel tax exemptions. This may be raised further,” a DPIIT official said. A survey conducted by the Indian Private Equity and Venture Capital Association (IVCA) — a lobby group representing investors — has shown that over 2,000 start-ups have received notices from the tax department. “Two types of tax notices were sent -- notices initiating assessment and raising demand. The new notification will not cover those notices where tax demand has already been raised, which were barely 100. We have asked officials to not enforce the recovery of demand,” CBDT member Akhilesh Ranjan said. “The exclusion of certain investments from the computation of Rs 25 crore ensures that such eligible start-ups have a broader base of domestic investors from whom investment may be sought without having to worry about the risk of paying angel tax. Another critical change involves the filing of a self-certified declaration by such eligible start-ups with the DPIIT, as against seeking approval from the CBDT,” said Atul Pandey, partner at Khaitan & Co. According to the new norms, any motor vehicle, aircraft, yacht or any other mode of transport the actual cost of which exceeds Rs 10 lakh would bring a start-up in the tax net. Industry experts believe that this move has been made to prevent any sort of money laundering. “This will not have any impact on real start-ups. It is to prevent people from opening shell companies and showing expensive buys to launder money as office expenses,” Saurabh Srivastava, chairman, Indian Angel Network. Also, if any company invests in a building or land, apart from the one being used by it, would not get any exemptions. Venture capital firms complain that the new rules do little to help them since only start-ups approved by the DPIIT would be eligible. Experts believe that while increasing the company turnover threshold from Rs 25 crore to Rs 100 crore would help larger start-ups, many of these reliefs would require amendments in the Income Tax Act and the start-ups may have to wait till that time. “No relief is proposed in respect of Section 68 of the Income Tax Act, 1961. So start-ups will continue to carry the onus to establish the genuineness of the source of the investment made by investors, failing which the sums received on share application can be taxed by the department,” said S Vasudevan, partner, Lakshmikumaran & Sridharan Attorneys.